Swivel-type pintle hook with spring cushion. 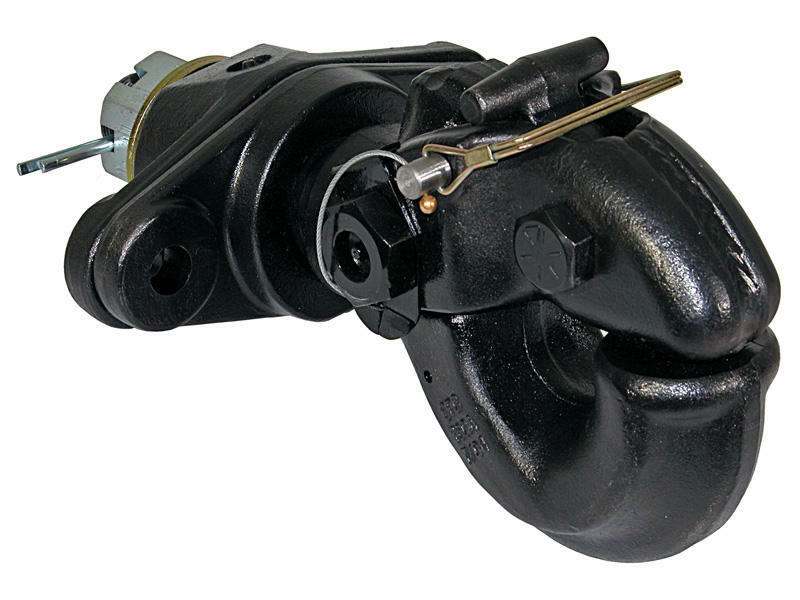 Swivel action provides torsional relief of the coupling. Use with 3" I.D. tow ring (lunette ring) and 1-5/8" diameter section. Pintle hooks are individually boxed and include mounting hardware, information sheet, spec sheet, and vehicle capacity decal.